You organize a children’s party, but do not know what food to prepare? 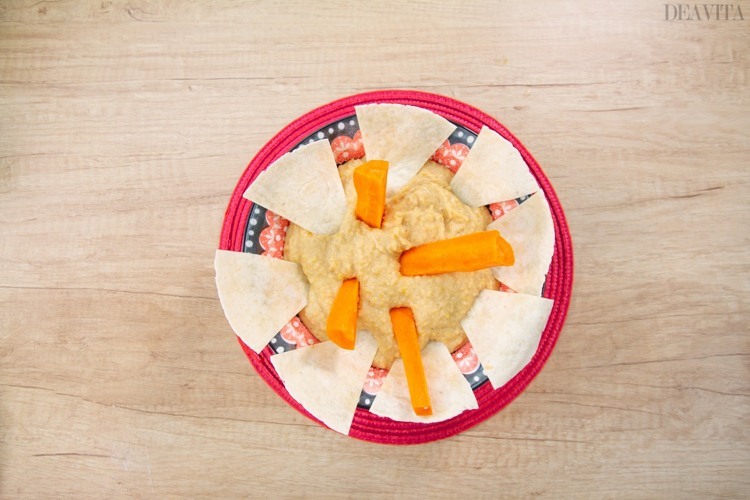 Sweet or savory, cold or warm – finger food is great for kids’ parties! 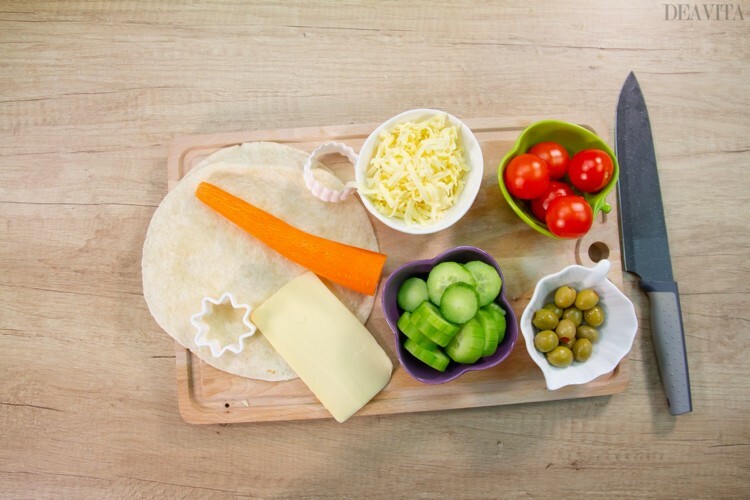 Discover our 10 finger food ideas for kids party. 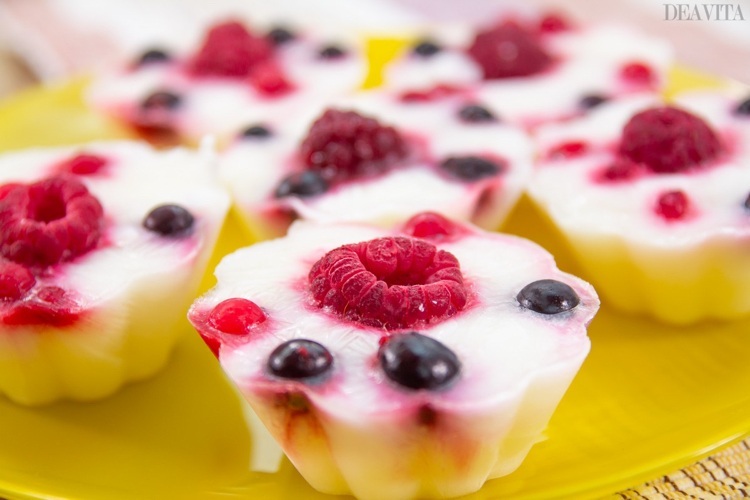 You will find fruity suggestions and some ideas for snacks and small appetizers! 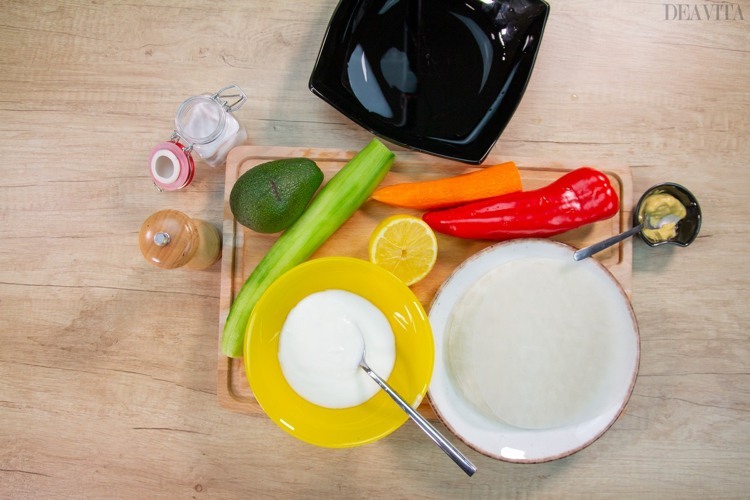 Each recipe can also be viewed as a video tutorial. 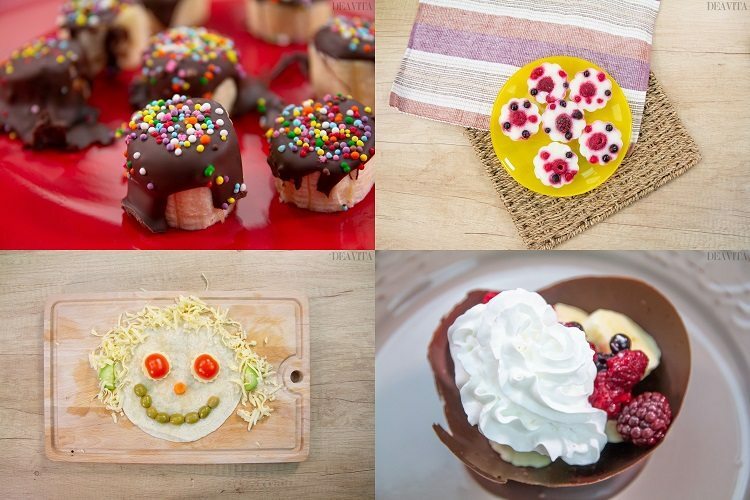 Fruits are an excellent idea for children’s birthday parties! Kids love not only the taste, but also the funny look. 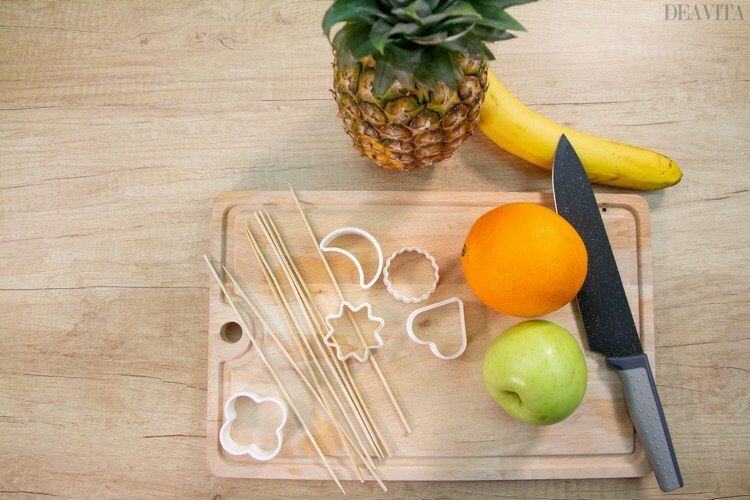 With cookie cutters and skewers, fruits can be even more fun and child-friendly. 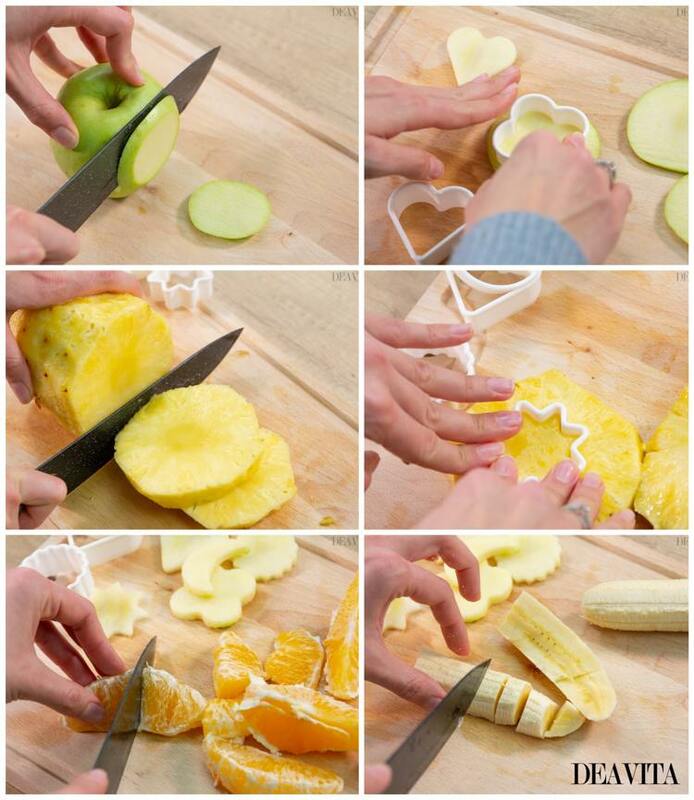 Cut the apple into 1 cm thick slices. Use cookie cutters to cut different funny shapes. 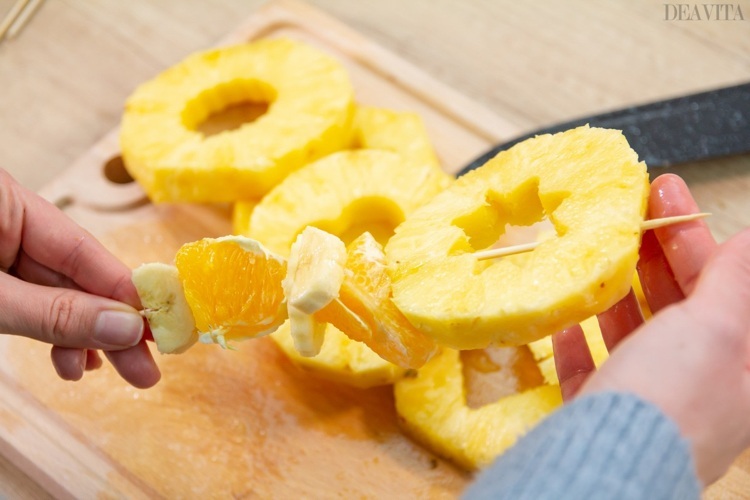 Peel the banana and orange and cut into pieces. Slice the pineapple. Remove the core with a cookie cutter. 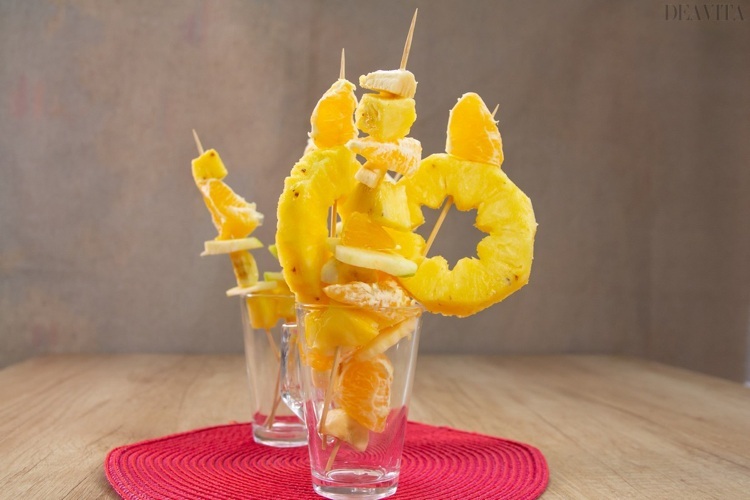 Finally, arrange the fruits on skewers. 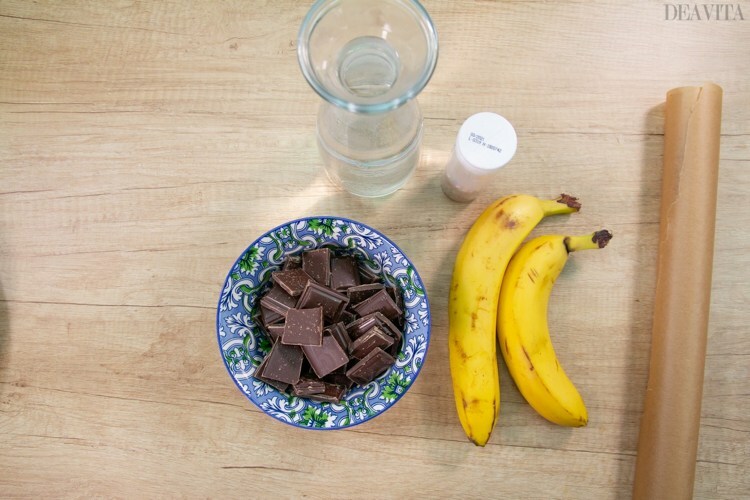 These bite-sized snacks made from frozen banana and chocolate are a super easy snack. They can be prepared quickly and kept in the fridge. Put the chocolate in a bowl. Add the water to a pot and bring it to a boil. Put the bowl with the chocolate in the pot. Stir until chocolate is completely melted. Peel and slice the bananas. 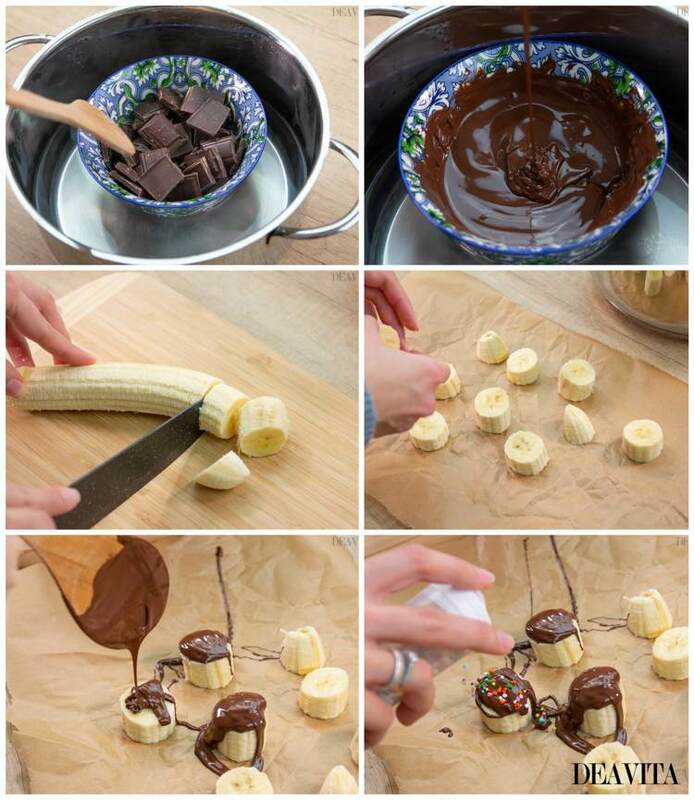 Put the slices on a sheet of baking paper and pour chocolate over each banana slice. 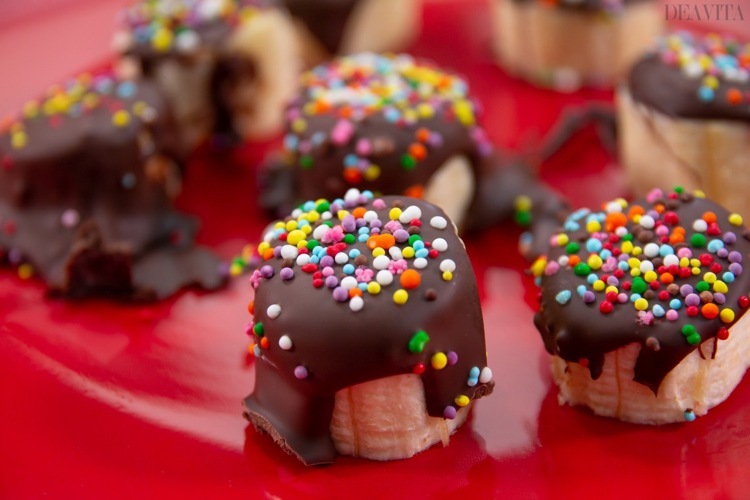 While the chocolate is still soft, decorate with sugar sprinkles. Place in the fridge until the chocolate is set. 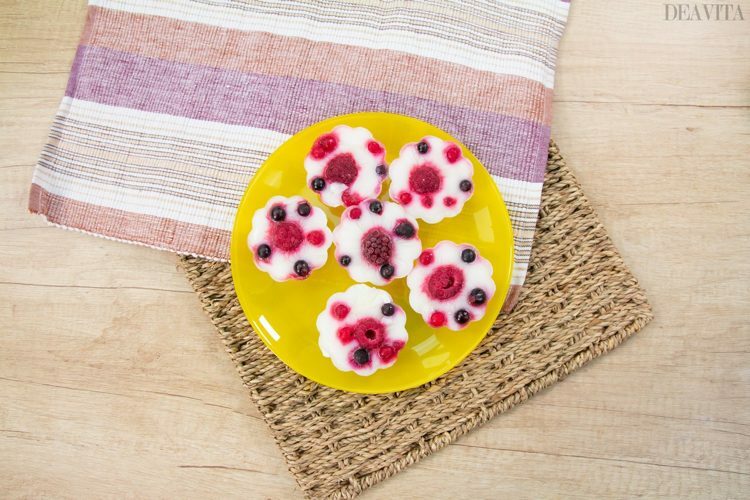 These fruity frozen yogurt treats are not only a great idea for children’s party, but are also a healthy dessert for every day. You can even put the ice cream snacks in the lunchbox. 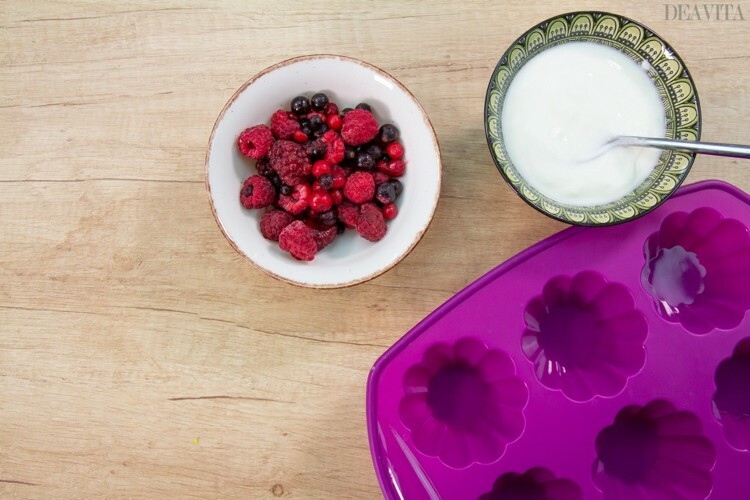 The yogurt will melt, but stay cool until noon. The recipe can be adapted to your taste and you can add some powdered sugar. Try dried fruits or use soya yogurt as a lactose-free version of the snacks. 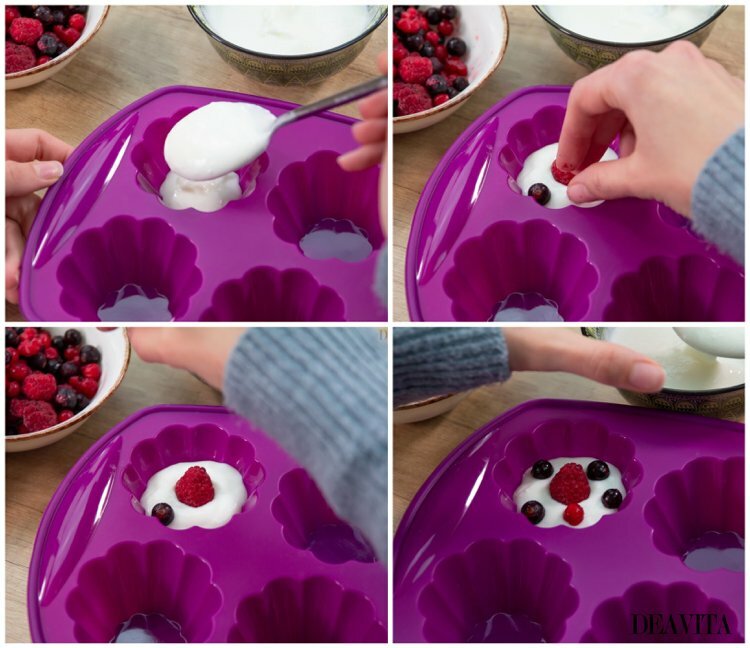 Use a spoon to spread some yogurt into the cupcake mold and then add the berries. Place the mold in the freezer for a few hours. 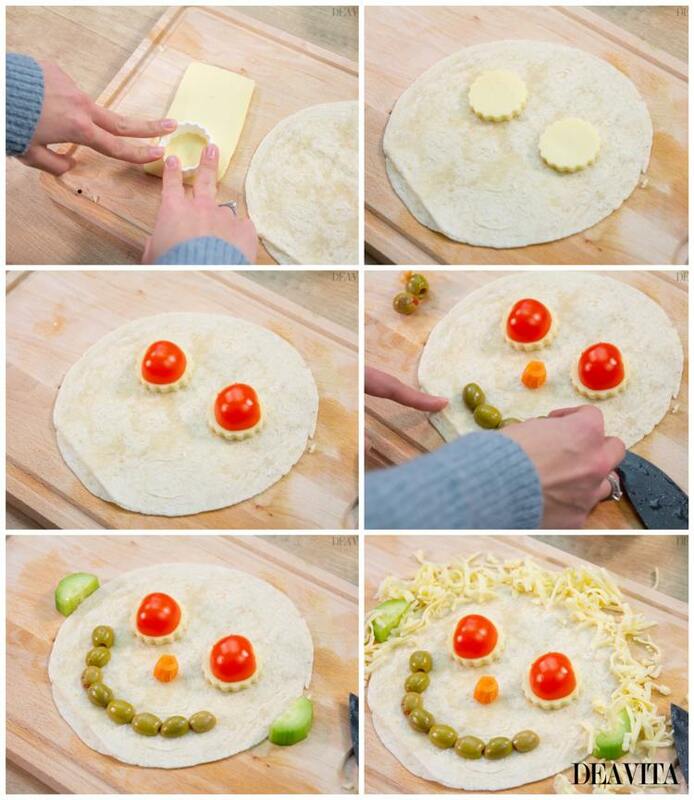 These funny tortilla faces will be well received by children between 3 and 5 years old. It could also be a fun kid’s birthday activity. 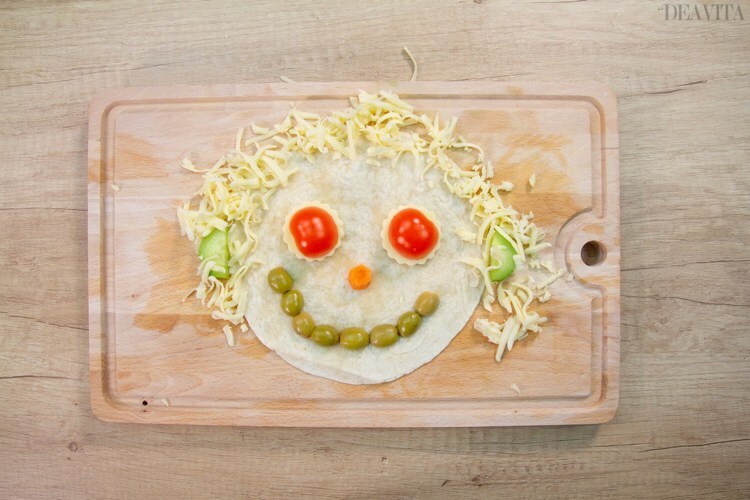 Every child can express their creativity and cover every tortilla face with ingredients of their choice. 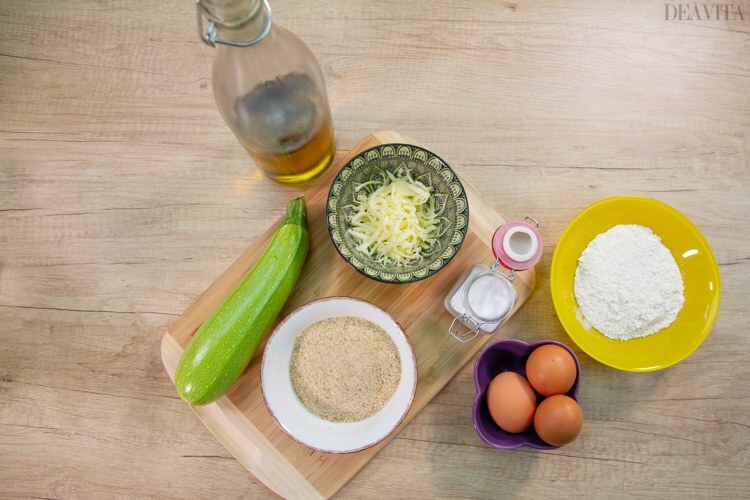 Fresh zucchini slices are rolled into breadcrumbs and then fried in the pan from both sides until golden brown. The zucchini chips can be served with a mayo yogurt dip. 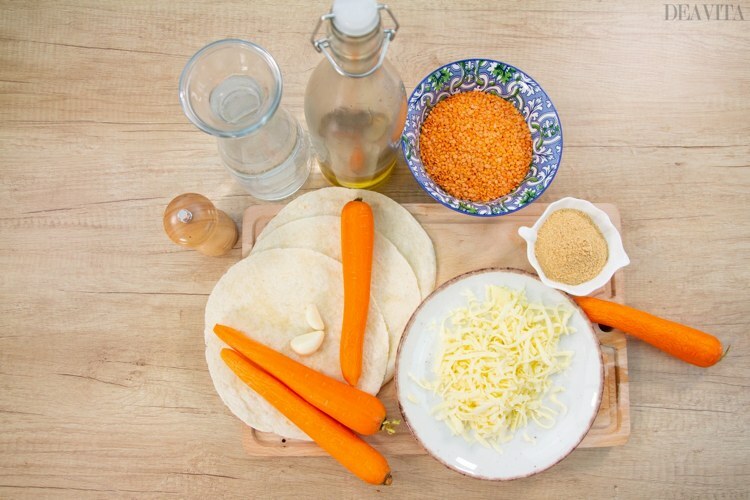 In another bowl, add the breadcrumbs and grated cheese. 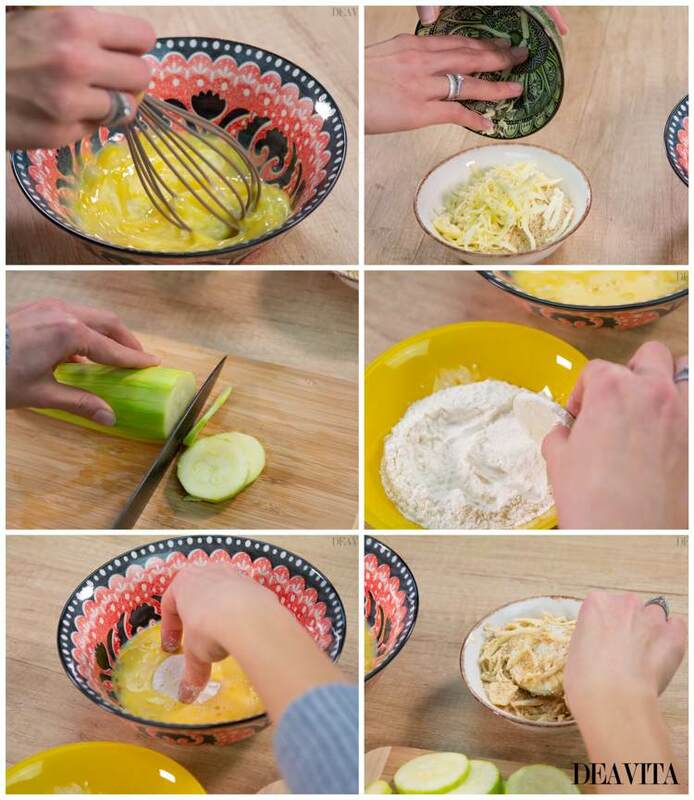 Peel the zucchini and cut into thin slices. 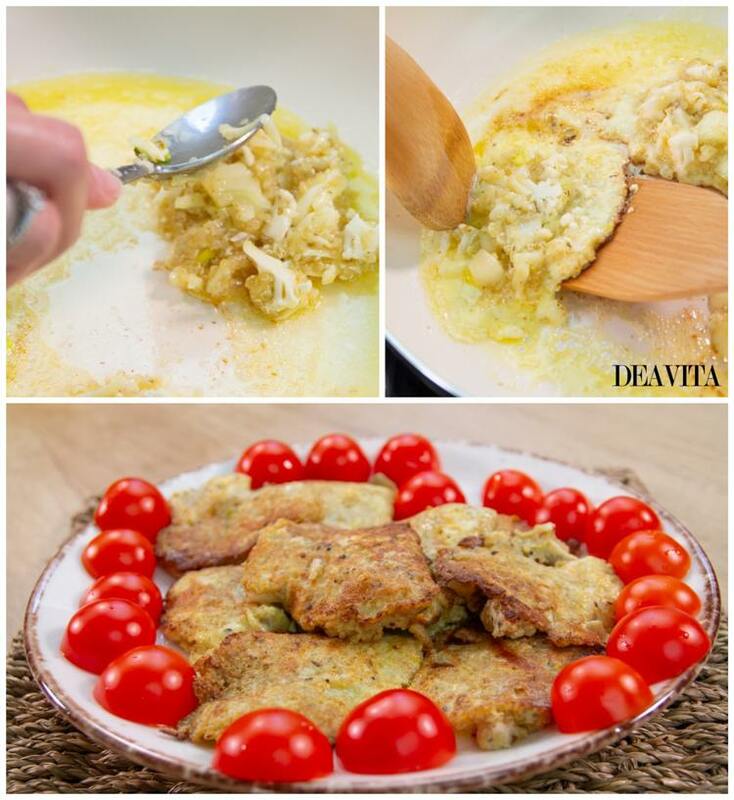 Dip each slice first in flour, then in a beaten egg and finally in breadcrumbs. 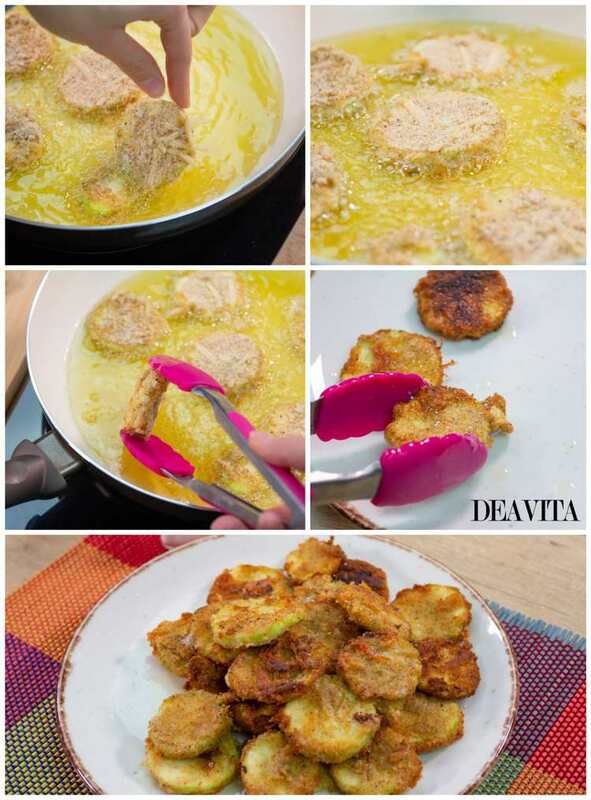 Heat the olive oil in a pan and fry, turning once, until browned and crispy, 1 to 2 minutes total. Prepare the dip. 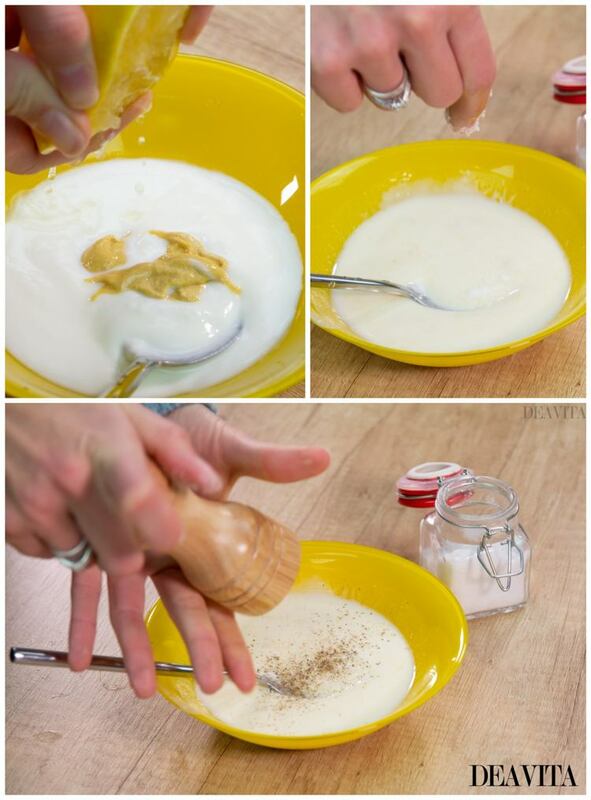 Mix the yogurt with the mustard and the juice of half a lemon. Season with salt and pepper. 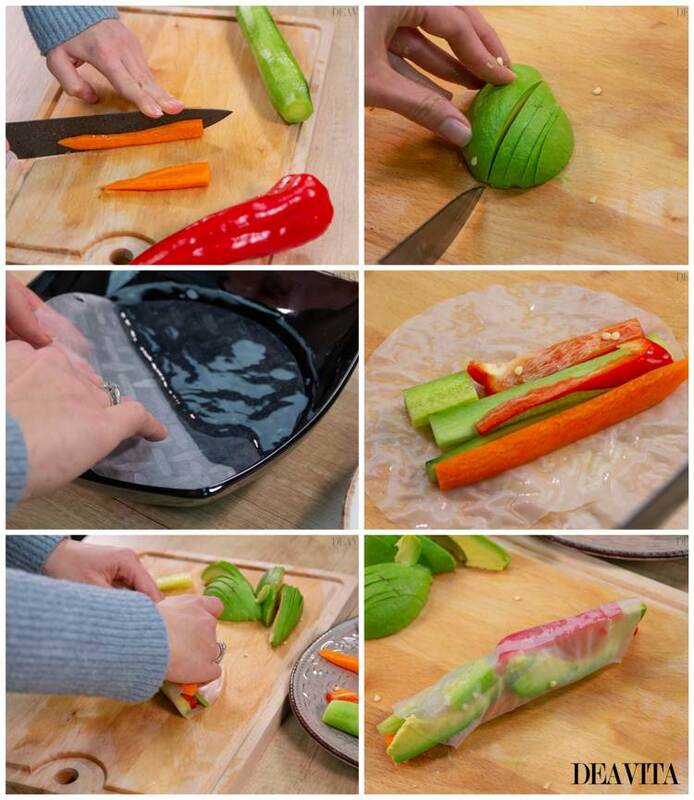 Wash the vegetables, core the avocado and cut into thin strips. 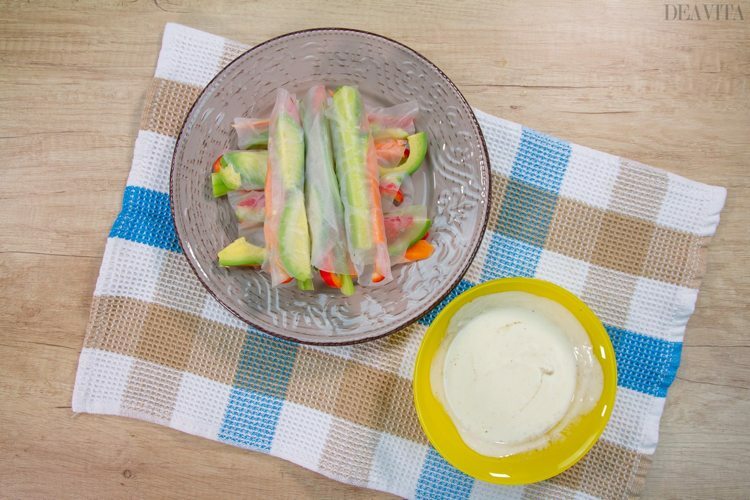 Briefly dip the rice paper rolls in lukewarm water and place on kitchen paper to drain. Cover each rice leaf with a bunch of vegetables and roll it up tightly. 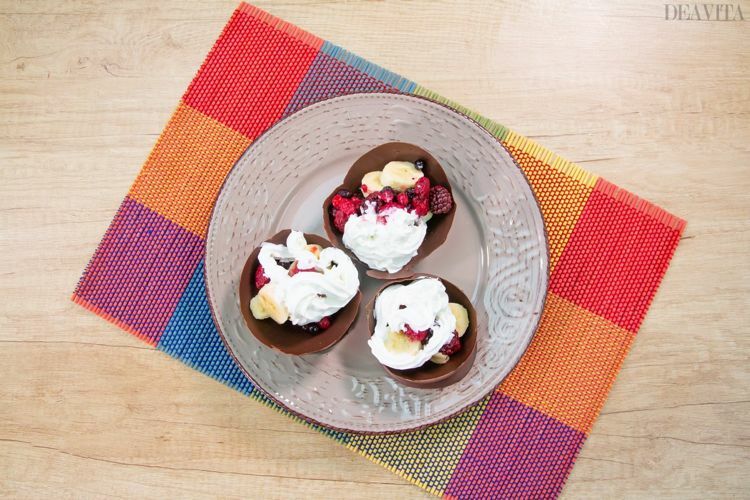 These bowls are made from chocolate and are ideal for parties and birthdays! Inflate the balloons. Melt the chocolate and let it cool down a bit. Cover a cutting board with baking paper. Use a spoon to make chocolate circles on the paper. 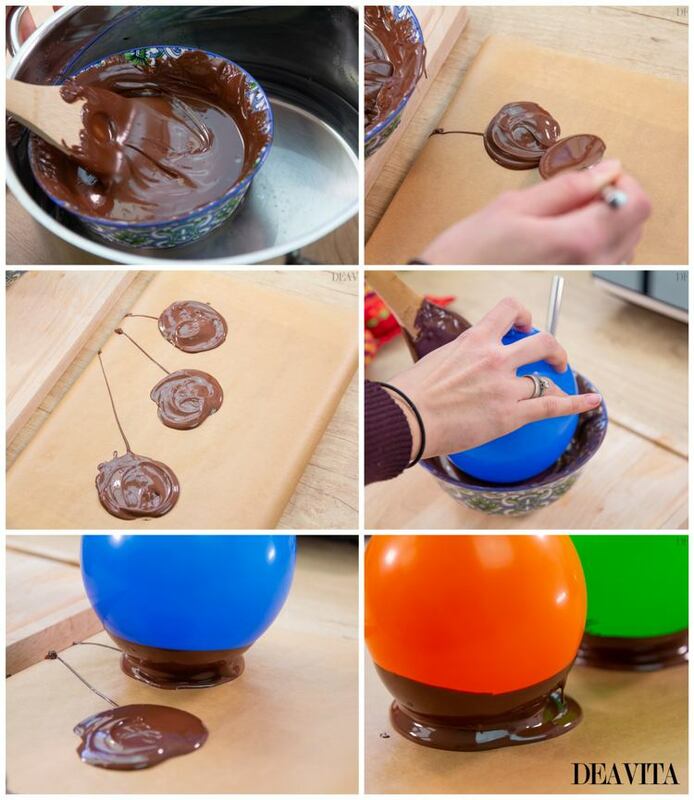 Dip the balloons into the warm chocolate. Turn around all the time and stand upright on the chocolate circles. Place in the freezer until the chocolate to is set. When the chocolate has hardened, pierce the balloons with a needle near the top. 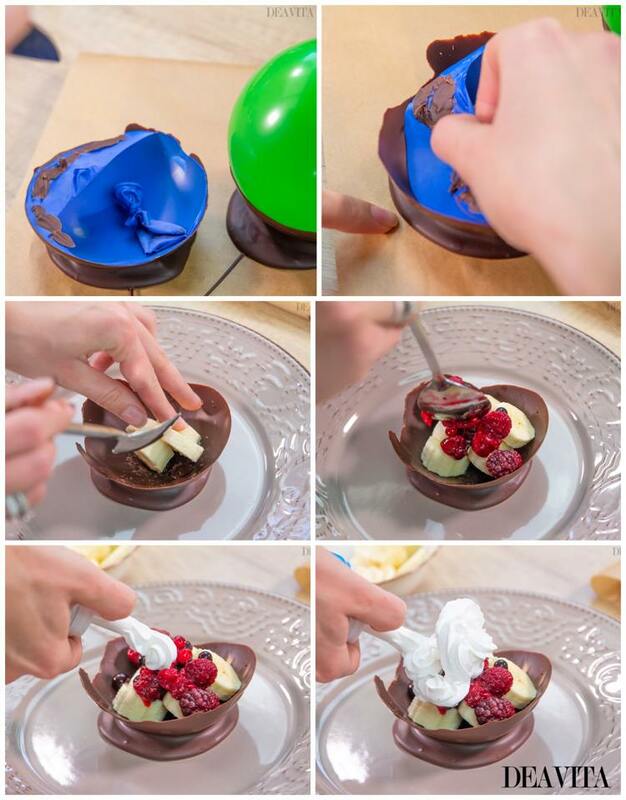 Remove the balloon remnants from the bowls. 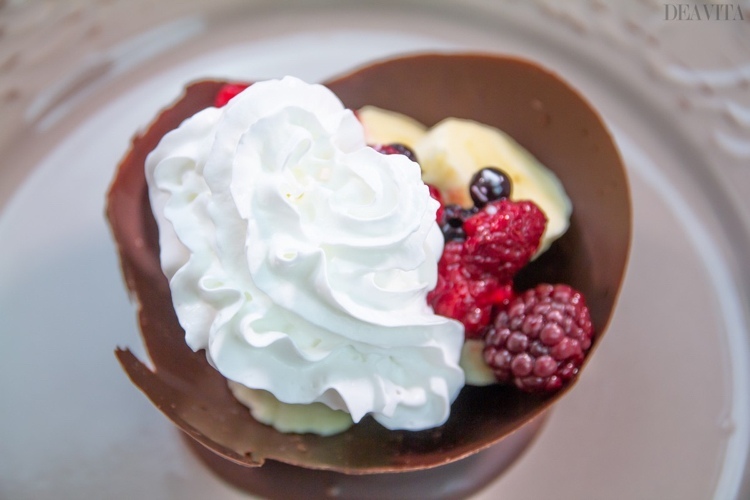 Fill the chocolate bowls with fruit and garnish with whipped cream. 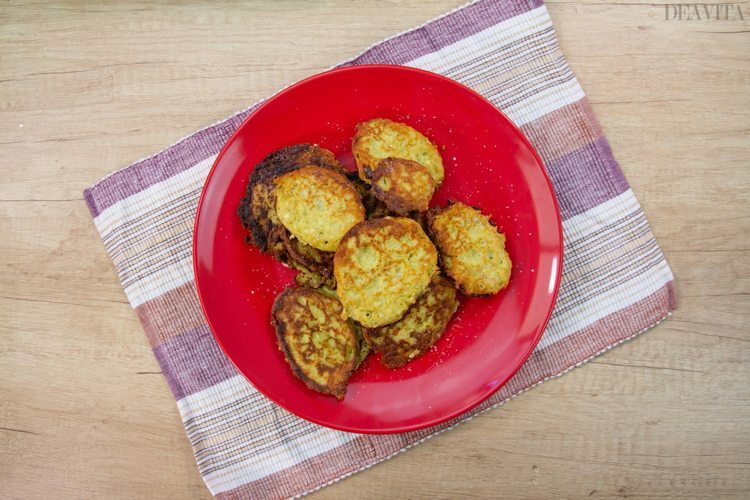 The pea bites are a perfect healthy snack and packed with protein! 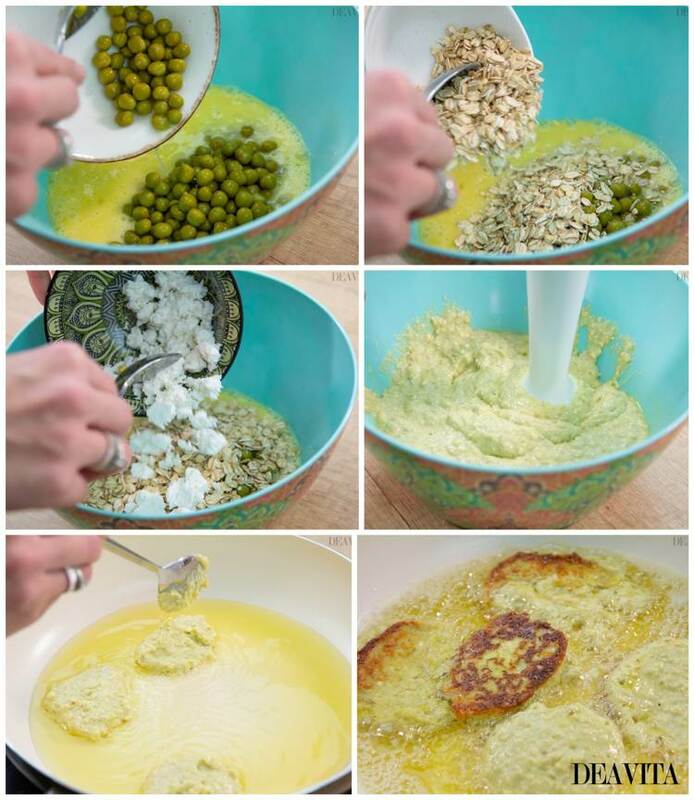 Add the remaining ingredients – peas, oatmeal and feta cheese and cream cheese. Heat the oil and add 1 tbsp of the dough to the pan. Wait for bubbles to appear on the surface and then flip. 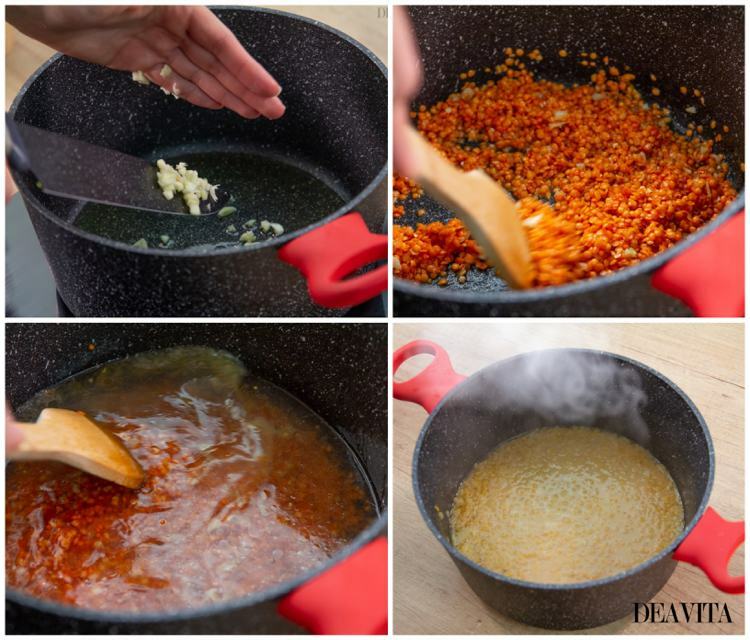 Finely dice the garlic and fry for 1-2 minutes. Rinse the lentils and add to the pot. Sauté briefly. Add water and boil for 10-15 minutes. Let the lentils cool and then purée with a blender. Stir in the grated cheese and breadcrumbs. Serve with carrot sticks and tortilla. Quinoa is a good source of protein, which means it provides the majority of the essential amino acids our body needs. It is also gluten-free and high in fiber. 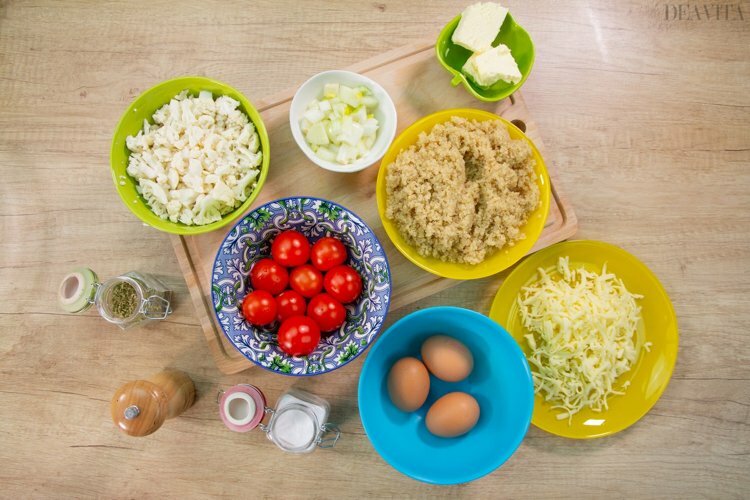 The combination of protein from the quinoa and eggs and fat from the cheese will satisfy your hunger and keep you full. 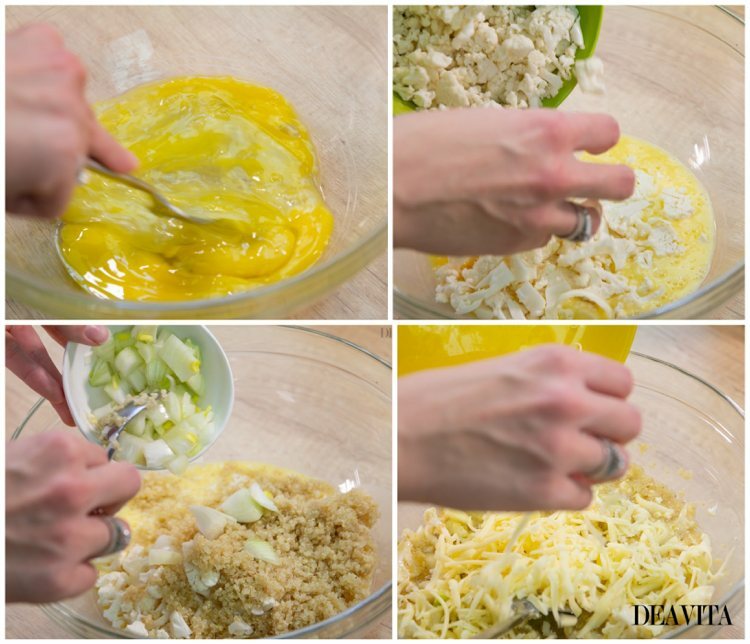 Chop cauliflower into tiny pieces or process it in a food processor . 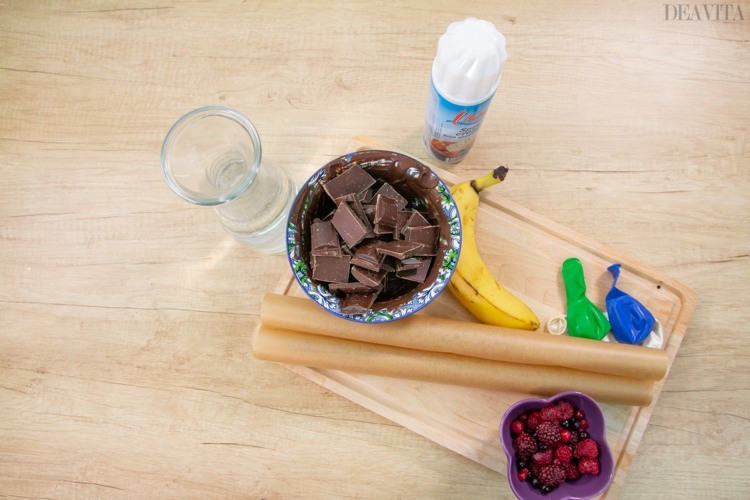 Your children may not even notice that these healthy snacks are made from cauliflower! 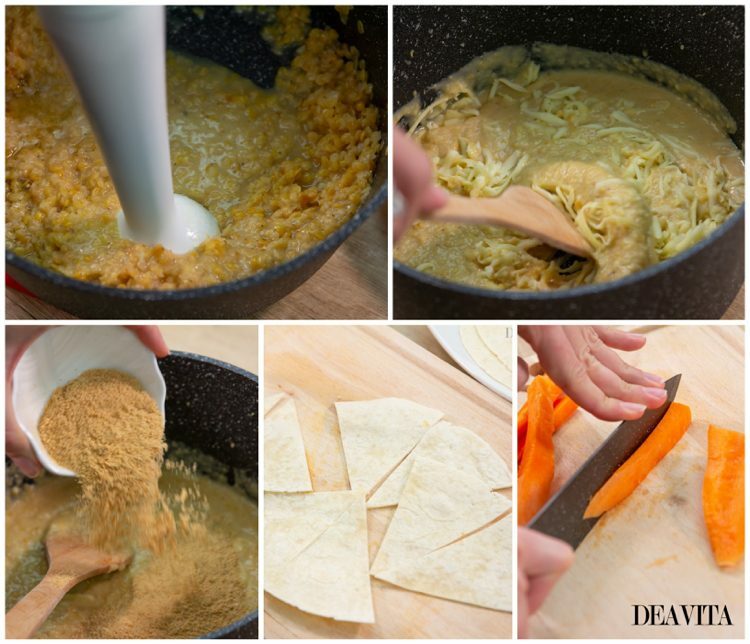 Add the remaining ingredients – the cauliflower, the cooked quinoa and chopped onion. Melt the butter and add 1 tbsp of the dough to the pan. You can also bake the cauliflower quinoa bites in a cupcake mold. Spray some oil into each hole of a 12-hole cupcake tray and place a large spoonful of the mixture into each hole. Bake for 15 minutes in the oven. Allow the quinoa bites to cool slightly and solidify before attempting to remove them from the cupcake tray. 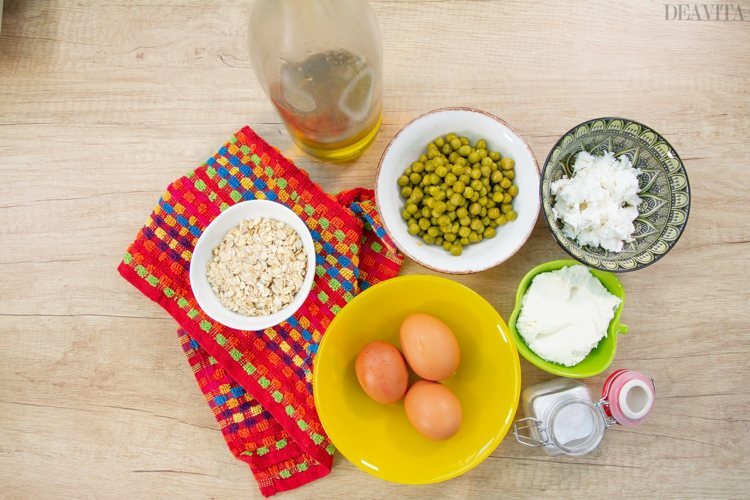 The post 10 Finger food ideas for kids party – healthy and delicious recipes appeared first on Deavita Interior design and Architecture Magazine.